We wrapped up our Spring Break Week activities this year. SUPERHERO SATURDAY was the perfect ending to our Spring Break Week activities! Not all heroes wear capes, and our staff members are the perfect example of that. 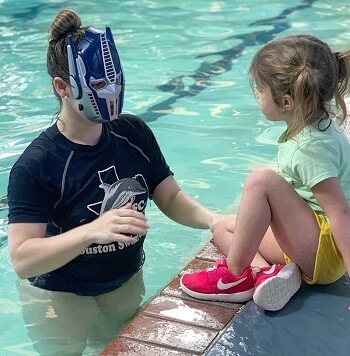 We love watching our students look up to them and learn so much more than just how to swim when they’re in our care. We're proud that so many parents trust us with their babies. Check out our Facebook and Instagram pages for more photos of all the fun we had. Spring Break fun will be BACK next year! Can't wait? Check out our calendar and stay in the loop for more activities happening throughout the year. The 2016 Christmas Toy/Food Drive was a huge success. Families all over Houston donated an impressive pile of food and toys for needy families. Ready for water park fun?